A beautiful way to chill wine/champagne. Perfect for dinner or holiday parties. Use different decorations for your occasion. 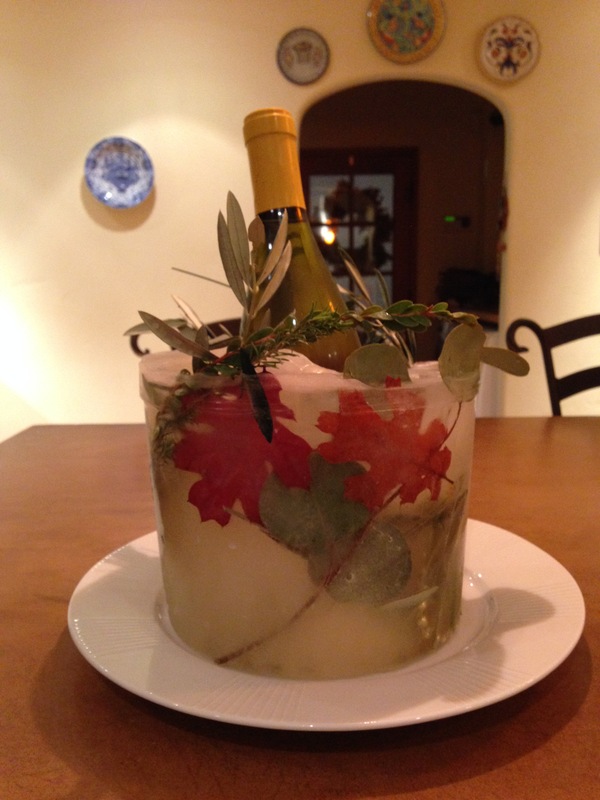 For example, I used Fall leaves for my Thanksgiving mold. Valentine’s Day? Hearts/red beads. Halloween? Add ghosts/pumpkins/skeletons. Christmas? ornaments/gold string beads. You get the picture. Also, seasonal foliage adds nature’s beauty. Be creative and have fun! 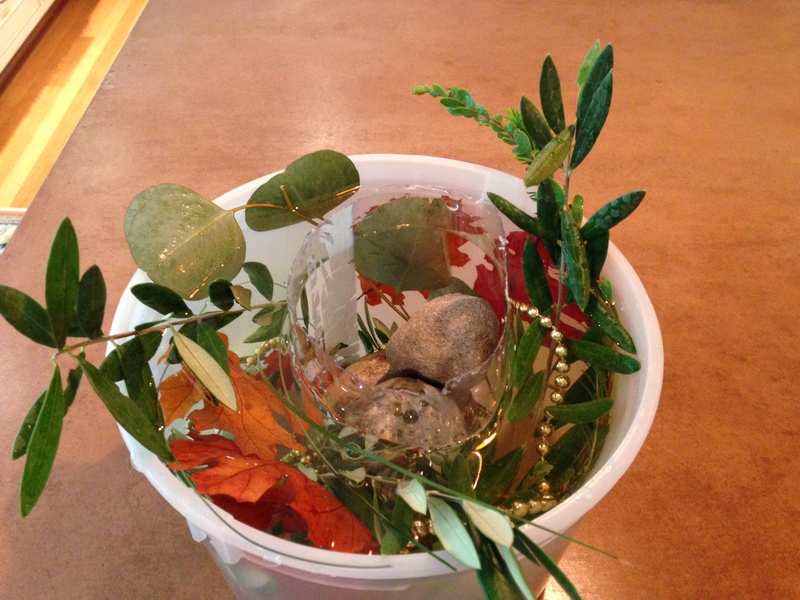 insert decorations/foliage/berries in water – this may take some work as branches are not always cooperative. be patient. remove from freezer. wiggle and remove the 2 liter plastic bottle. 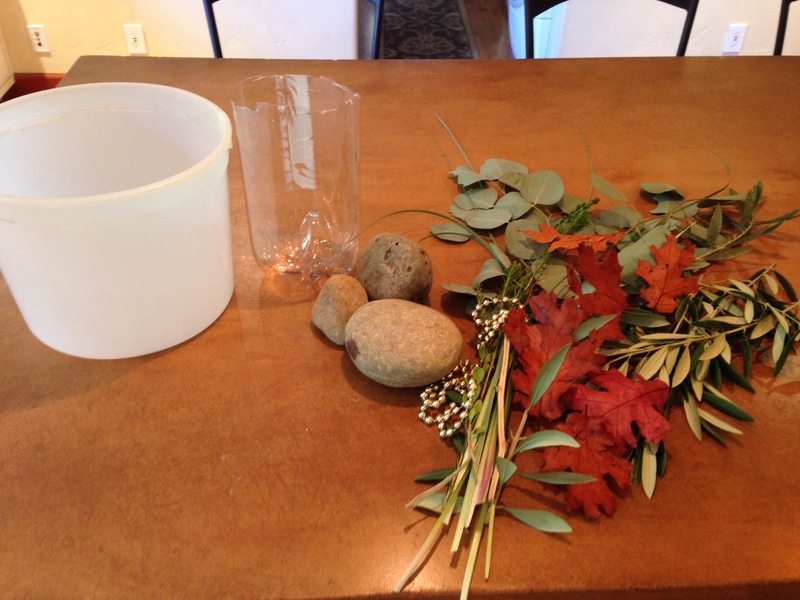 pour warm water outside the ice cream bucket to help loosen the mold. insert bottle and chill away! Place in shallow bowl to capture water as it will melt eventually. CHEERS! This is gorgeous. I’m going to try it! Thank you! it’s easier than it looks – have fun.